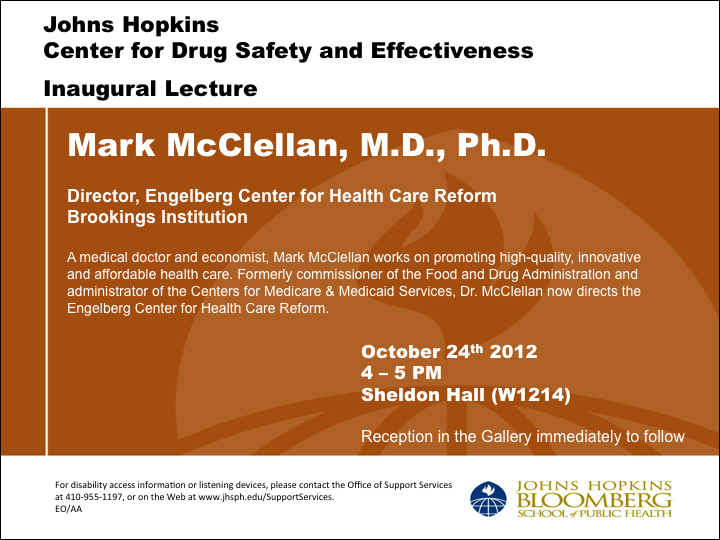 Posted on October 22, 2012, in drug safety, health care and tagged Center for Drug Safety and Effectiveness, drug safety, EBM, Johns Hopkins, Mark McClellan. Bookmark the permalink. 1 Comment.